The old editor had a special button for entering special characters. This is gone with the Block editor. But it is easy enough for you to add special characters and even more using the Command+Control+Space command if you are a Mac user. Also, Mac users can press and hold keys to get accent mark options. 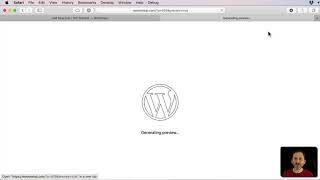 You can schedule posts to appear automatically on your site instead of publishing them the moment you finish writing. You may want to schedule future posts, or simply delay your new post until the next morning. You can also change the time on existing posts to correct problems or order posts better. Sometimes a small visual change can help you through some writers block, fatigue or just a lack of inspiration. You can try changing the color scheme of your WordPress profile to make things look a little different for a day or two. It is easy to do, and easy to switch back. 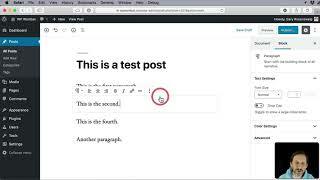 The Gutenberg editor is the default way to edit posts in WordPress 5.0 and you can get it now with a plugin. 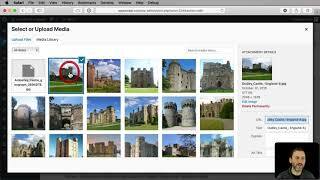 While it is different than the classic editor, it is very pleasant and easy to use. 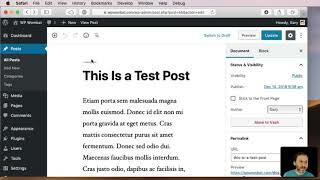 It will make writing with WordPress easier for many of us. 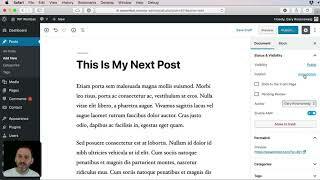 Check out this quick overview of Gutenberg to see what it is like to create posts with it.